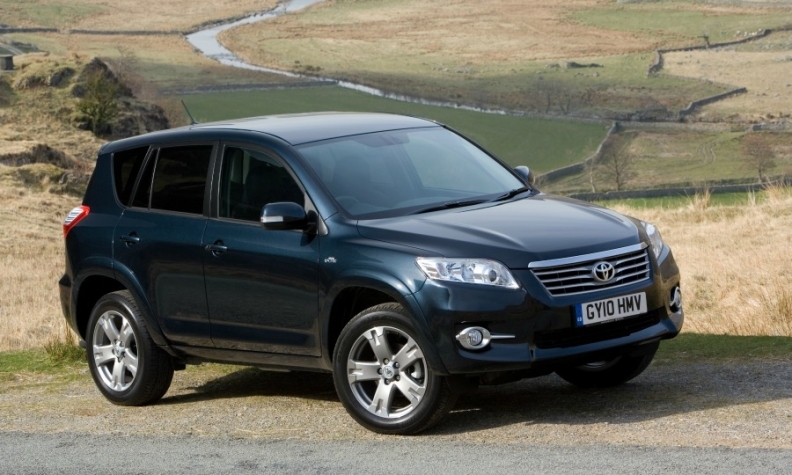 Toyota's recall involves RAV4 SUV models. TOKYO (Bloomberg) -- Toyota is recalling about 2.87 million SUVs worldwide after rear seat belts separated in one fatal accident in Canada and during a crash that injured a passenger in the U.S. The recall includes 1.3 million vehicles in North America, along with around 625,000 vehicles in Europe, 434,000 vehicles in China, 177,000 in Japan and 307,000 in other regions. The recall involves its RAV4 SUV model produced between July 2005 and August 2014 and sold worldwide, and its Vanguard SUV model produced between October 2005 and January 2016 and sold in Japan. Rear seat belts in the vehicles could be cut by metal seat-cushion frames in severe front crashes and fail to restrain passengers, Toyota said. The automaker said it would add resin covers to the metal seat cushion frames on all affected vehicles to prevent any metal pieces from cutting the seatbelt in the event of a crash. Toyota said it could not determine whether the Canadian and U.S. incidents were linked to any injuries or fatalities. The seat belt issue poses a risk to the RAV4’s image as the SUV becomes one of Toyota’s most important models in the U.S. market. The SUV may surpass the Camry, the industry’s top-selling car in the U.S. for the last 14 years, and become Toyota’s biggest seller within the next five years, Senior Vice President Bob Carter said in December. The recall also tacks on to what is already one of Toyota’s biggest ever repair campaigns involving safety devices. Toyota is among 14 manufacturers calling back about 24 million vehicles to replace Takata Corp. inflators that have ruptured and led to the largest U.S. auto-safety recall. Older RAV4 models also are included in the Takata airbag recall. Toyota is initiating its latest recall after Canada’s regulator reported in October that seat belts had been damaged during crash-test research The recall is due to Toyota’s vehicle design and not its suppliers, the automaker said.